Earlier, Iran’s Islamic Revolutionary Guard Corps claimed to have hacked into over half a dozen US drones flying over Syria and Iraq in recent years. “A certain government agency” has been flying missions in Syria using the Q-11, a variant of the General Atomics Avenger drone also known as the Predator C, The Drive has reported, citing statements by the drone’s manufacturer. “We know for a fact that a handful of Avengers are flying under some classified umbrella for a certain government agency and that they have been active in the Middle East, and Syria, in particular,” the outlet alleged. Questioning earlier reports that the US had used soon-to-be decommissioned F-117 Nighthawk stealth jets over Syria, the outlet suggested that the use of the Avenger may have been one way of carrying out reconnaissance and strike missions over hostile territory, particularly in areas full of Syrian air defences. Introduced in 2009, the General Atomics Avenger has an estimated cruising speed of nearly 650 km per hour, a 15,000 meter flight ceiling, and an endurance time of 18 hours. The drone can carry an electro-optical targeting system, is equipped with an onboard Lynx Synthetic Aperture Radar, and can carry a variety of guns and missiles on its internal weapons bay and external hardpoints. The US and its allies began an air campaign over Syria in September 2014, ostensibly targeting Daesh (ISIS) and other terrorist elements in the country’s east. The Syrian government has repeatedly condemned these operations, pointing out that they are illegal under international law and a violation of Syria’s territorial integrity. Last month, Iran’s Islamic Revolutionary Guards Corps commander Brig. Gen. Amir Ali Hajizadeh alleged that Iran managed to hack into “seven to eight” US drones” flying over Syria and Iraq in recent years, accessing intel from their onboard cameras. The US military did not comment on the claims. Thats how it is. Old stuff is replaced with new and the enemy has to try to defeat that a.s.o. Its the plan for most forces to replace soldiers for machines and those machines gets more and more like an army itself and support each other better and better. Russia do the same. They also are proud of testing their soldiers on the ground, and probatly because they have renewed their ways of figting and probatly to the better. So, what ? Just use S-300 system and bring it down to waist bascke. The US has been hacking Iran ten years ago.Now the Iranians are a little hacking the US. There are rumours saying we also tested Dassault’s nEUROn demonstrator. 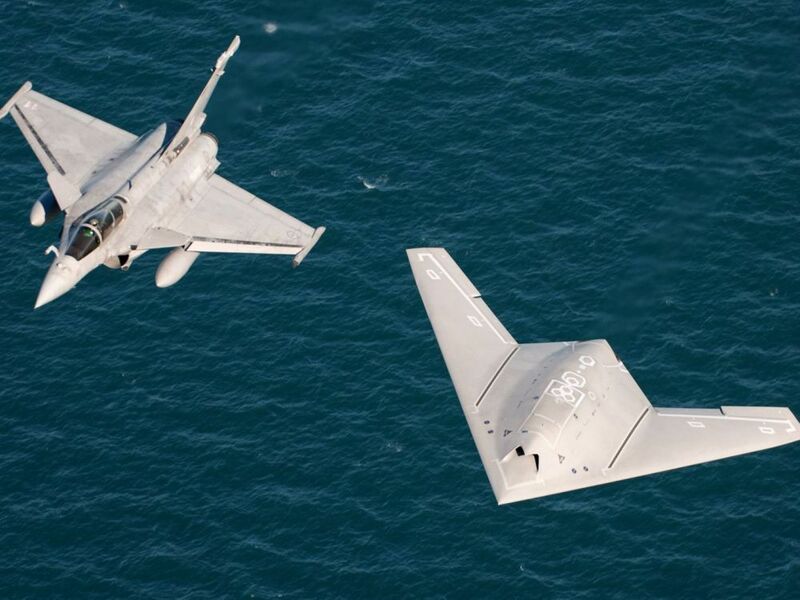 nEUROn can already drop bombs and be used as semi-autonomous wingman with Rafale, Typhoon and Gripen. Amir Ali Hajizadeh should stop with what Hezbollah imports from Colombia, he’s taking his dreams for reality!